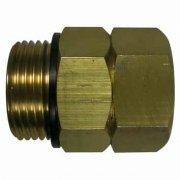 Brass ball bearing swivel, 1/2" BSP male x 1/2" BSP female with flat seal, 9mm bore. 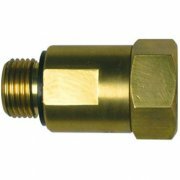 Brass ball bearing swivel, 1/2" BSP male x 3/4" BSP female with flat seal, 9mm bore. 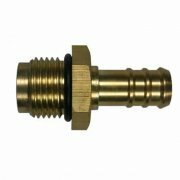 Brass ball bearing swivel, 1/2" BSP male x 3/4" BSP female with flat seal, 14mm bore. 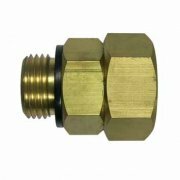 Brass ball bearing swivel, 3/4" BSP male x 3/4" BSP female with flat seal, 12mm bore. 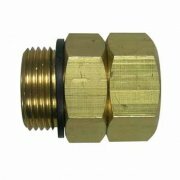 Brass ball bearing swivel, 1" BSP male x 1" BSP female with flat seal, 18mm bore. 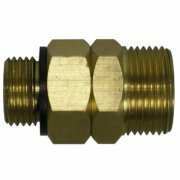 Brass ball bearing swivel, 1/2" BSP male x 1/2" BSP male with flat seal, 9mm bore. 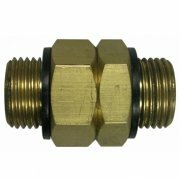 Brass ball bearing swivel, 1/2" BSP male x 3/4" BSP male with flat seal, 9mm bore. 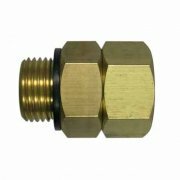 Brass swiveling hose tail 13mm x 1/2" BSP male with 10mm bore. 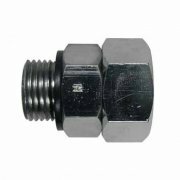 Chrome plated brass ball bearing swivel, 1/2" BSP male x 1/2" BSP female with flat seal, 9mm bore. 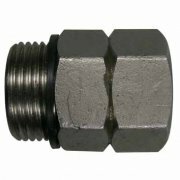 Chrome plated brass ball bearing swivel, 1/2" BSP male x 3/4" BSP female with flat seal, 9mm bore. 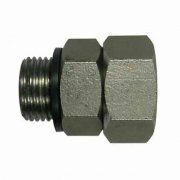 Stainless steel ball bearing swivel, 1/2" BSP male x 1/2" BSP female with flat seal, 9mm bore. 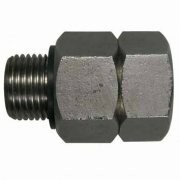 Stainless steel ball bearing swivel, 1/2" BSP male x 3/4" BSP female with flat seal, 9mm bore. Stainless steel ball bearing swivel, 1/2" BSP male x 3/4" BSP female with flat seal, 14mm bore. 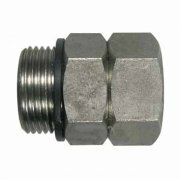 Stainless steel ball bearing swivel, 3/4" BSP male x 3/4" BSP female with flat seal, 12mm bore. 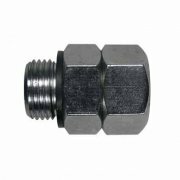 Stainless steel ball bearing swivel, 1" BSP male x 1" BSP female with flat seal, 18mm bore.